The 3,700 seat arena will serve as home to seven varsity sports: volleyball, gymnastics, fencing and wrestling. In addition, it will serve as the occasional venue for women’s basketball as well as serving as the host site for local tournaments and camps. This state-of-the-art facility allows for the greatest flexibility in the use of space by accommodating various configurations specifically designed for each competition. 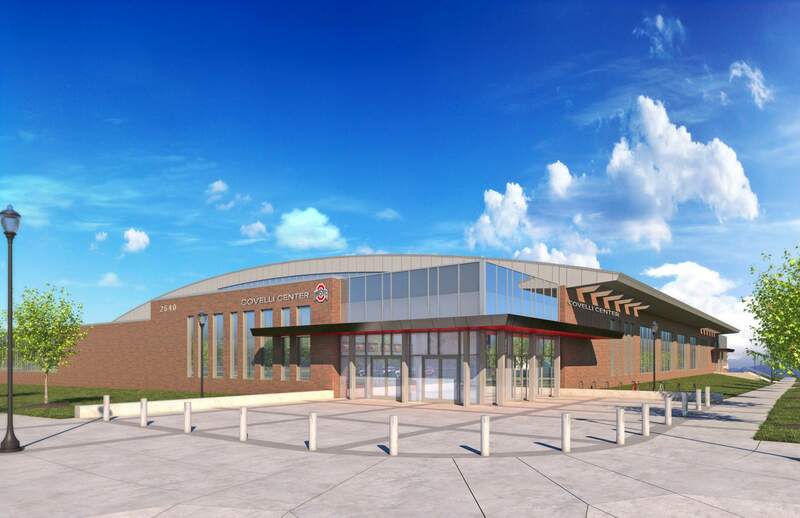 The arena will serve as the training facility for Men’s and Women’s Volleyball. Coaches and teams will benefit from up-to-date locker rooms, offices, training and treatment rooms. Built in 1956, St. John Arena is the former home of our men’s and women’s basketball teams. The opening of the Jerome Schottenstein Center in 1998 allowed the volleyball, gymnastics, fencing and wrestling teams to call St. John Arena home– including our 2016 men’s volleyball national championship team and the 2015 wrestling national championship team. Since St. John Arena was designed and built over 50 years ago, the standards of competition have changed considerably. So too has the use of technology in coaching and teaching. Practice and competitive facilities are important evidence of an institution’s commitment to excellence. To remain competitive at the national level, a modern facility is needed for Ohio State student-athletes.